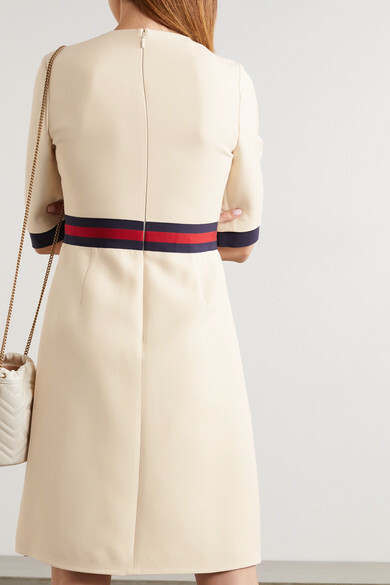 Gucci's web stripe is an instantly recognizable house code - it was first used in the '50s and nods to the equestrian heritage of the Italian brand. 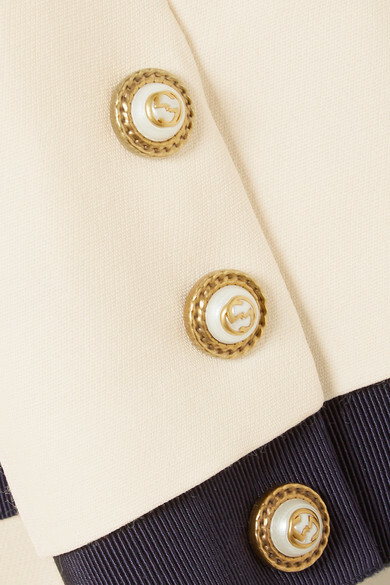 Made in Italy from wool and silk-blend cady, this dress is edged with a navy iteration of the signature grosgrain and finished with 'GG' faux pearl hardware at the cuffs. Complement the red detailing with the label's pumps. Shown here with: Dolce & Gabbana Tote, Leigh Miller Earrings.